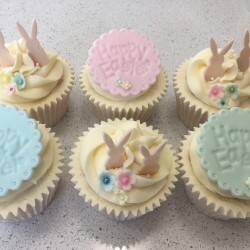 Pink Aubergine Cupcakes are based in the beautiful Derbyshire Peak District, and are lucky to be able to source fresh, local ingredients wherever possible to ensure their cupcakes are the best quality. All of their products are carefully handmade and decorated with delight. Whether you want to treat someone special or are organising a party, event or marketing promotion, Pink Aubergine Cupcakes can help! 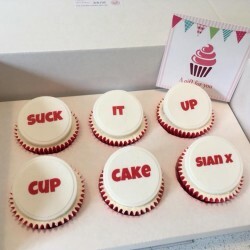 Their bespoke and corporate cupcakes can have any logo, image or graphic printed onto handmade toppers for a professional finish. The perfect way to celebrate a special event, or send a message.